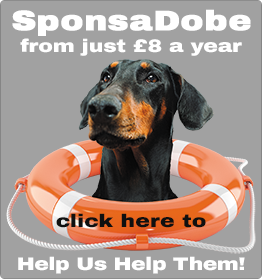 Home Dobes Blog New Website – But Dobeys still need homes! 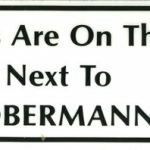 New Website – But Dobeys still need homes! It’s been a bit of a rough patch for our online activities, and a few of you have noticed that we went offline for a few days. Then it turned into a couple of weeks. To cut a long story short, our previous website died a sudden death, and we weren’t able to restore it. Luckily for us Steve Sant, a previous adopter of one of our Dobes, noticed our problem and kindly stepped in to take up the reins and his company, Sant Media, has redesigned a new website for us! 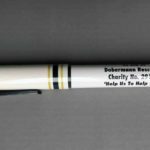 Merchandising – we still have a vast array of Dobey related goodies for sale. Please contact us for a list in the interim, but we will be getting these details available again soon. 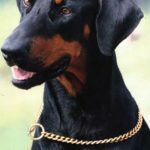 Links – we obviously like to maintain links with other organisations in the Dobey/dog world, so we will be building up our links page again soon. Please bear with us while we get things straightened out, and PLEASE leave a message here if there’s anything you’de like to see on the new site!